Advanced tube recovery system to make sure every layer PE sprinkler irrigation pipe can be arranged in place and accurate. Even in very low flow conditions, water spray car still can retrieve the tube fast, the fastest speed can be up to 35 m/hour, which make it easier to adjust the irrigation quantity according to adjust crop demand. 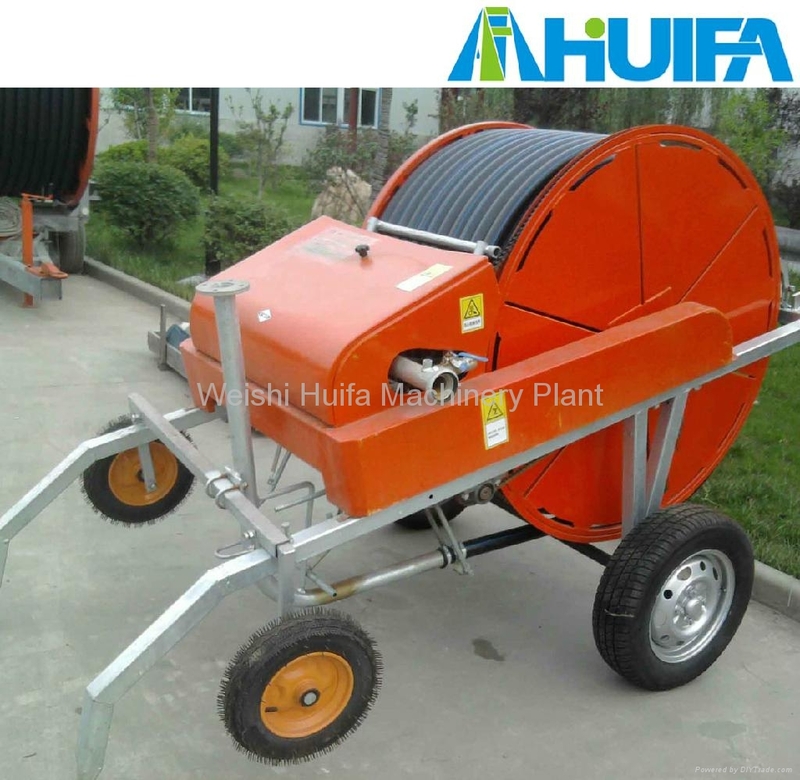 5-8.00 large size tires makes the irrigation machine move stability and convenient even if they are in rugged and muddy road. Changing the original brakes apparatus, easier to drag PE pipe human, and avoid reel reverse. Secret formula makes PE pipe high-quality and resistance to use.